We can all stand to be more alkaline. The majority of people are acidic due to diet and lifestyle. One of the best formulas for creating alkalinity is pH Adjust. pH Adjust is a good-tasting, fluffy white powder that dissolves easily in water, juice, and yes, coffee. Shortly after launching pH Adjust as a new product, we began receiving reports from customers that they used pH Adjust in their coffee. Why put pH Adjust into coffee? Well, first it is a pleasant and convenient carrier for pH Adjust. Second, and most importantly, coffee is acid-forming in the body. By putting pH Adjust directly into coffee, you both can counteract acidity and simultaneously alkalinize the body. My questions: Was coffee creating acid condition in my body? And would putting pH Adjust in my coffee make a a difference? Short answer: Yes. I enjoy coffee. I don’t drink it all the time. But after hearing customer comments, I decided to try pH Adjust in my coffee. Within a day or two, I noticed my teeth were stronger! This was welcome news. In fact, I had been dealing with a few “minor” dental issues, including teeth chipping, enamel wear, and occasional tooth pain. My diet is good and I eat plenty of vegetables and fruits. So how could my teeth be compromised? I measured my pH using Hydrion pH paper. It was lower than I thought it would be. Simply put: I was more acidic, more of the time, than I knew. Does acidity weaken teeth? Yes, it does. pH Adjust alkalinizes the body rapidly. It dissolves easily in water, coffee & most drinks. “Bicarbonate reserves” decline as we age. This makes us more acidic because we don’t buffer acidity as easily as we did when younger. The body must then draw upon minerals in bones and teeth. Yet, even young people are overly acidic in modern society. Everyone who is acidic stands to benefit from increased pH levels. That means most of us. The proof that acidity causes weaker teeth is the fact that pH Adjust immediately stopped my tooth chipping, enamel wear, and pain. Good thing I put pH Adjust into coffee shortly after HPDI introduced it. And thanks to the customers, employees, and friends of HPDI who told me about it. Coffee with pH Adjust is healthier than plain coffee because it helps alkalinize the body. Taking pH Adjust (without coffee) accomplishes the same thing. But for those who enjoy coffee, adding pH Adjust is an easy way to alkalinize what can otherwise be an acidifying drink. Who wants acidity? Not me. I now use pH Adjust in coffee by directly adding a 1/2 to 1 teaspoon directly into coffee and stirring. I adjust the dose according to how much coffee I drink. I also take pH Adjust separately from coffee—usually once or twice daily—about one teaspoon per dose. 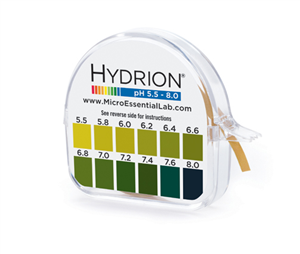 Taking 1–2 teaspoons total of pH Adjust daily seems to be the right amount. I no longer have issues with my teeth. My bones feel stronger, too. If you drink coffee, then adding pH Adjust to make it “pH Adjust coffee” may be helpful to you. It reduces acidity and supports mineral balance. It especially provides good levels of potassium and magnesium, minerals that are required for good health—and that are deficient in most people. If coffee is driving acidity in your body, then pH Adjust may be just the thing for you. Putting pH Adjust in your coffee directly means stopping acidity at the source. pH Adjust dissolves easily in coffee (and most other drinks) and does not add a bad taste. In fact, many people, including me, enjoy the gently sweet flavor it imparts. Test pH using Hydrion litmus paper. 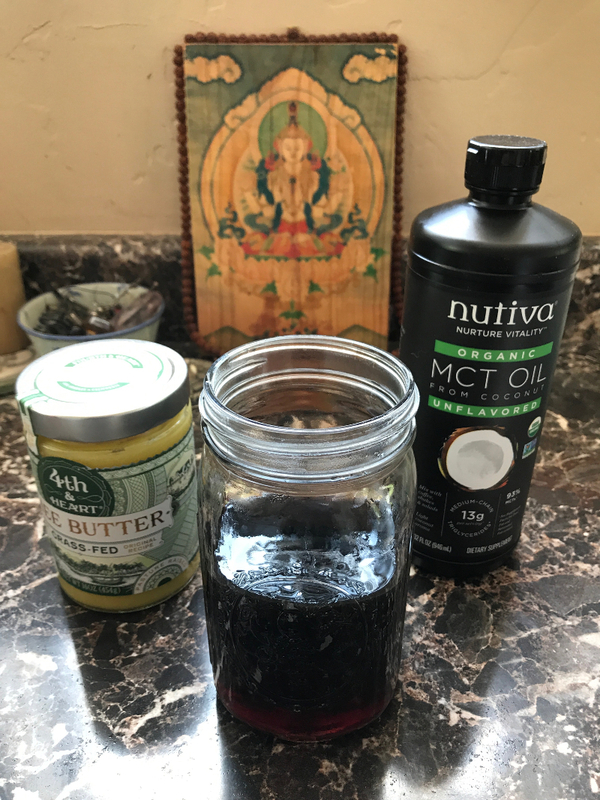 More recently, I discovered the benefits of using organic coconut or MCT oil in coffee with organic pasture butter or ghee. This is based on the concept of Bulletproof coffee popularized by Dave Asprey in his Bulletproof Diet, and it fits well into ketogenic diets. Ketogenic diets are low in carbohydrates, high in fats, and include plenty of high-quality protein. I do not follow a ketogenic diet per se. Yet, I consume relatively high amounts of “good” fats (like coconut, olive, and avocado oils) and few simple carbohydrates. I had even added coconut oil, butter, and ghee into my coffee years ago. But I never blended it into an emulsified concoction, nor was pH Adjust available. So this is truly different! 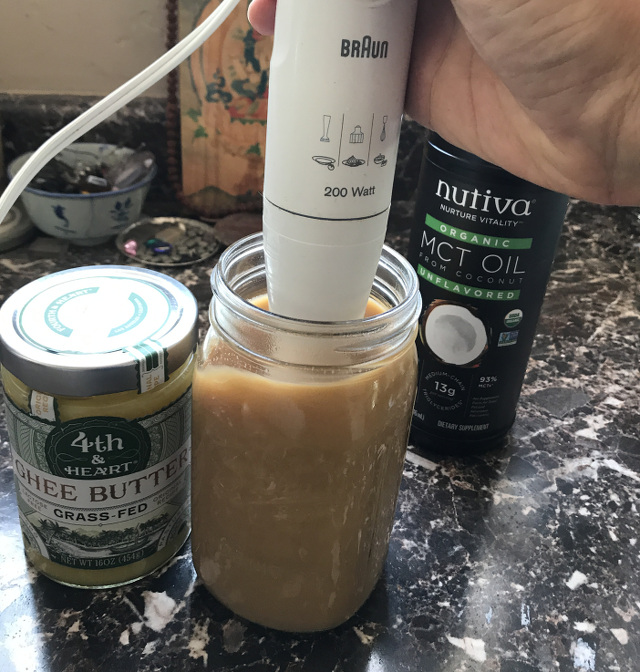 I make ketogenic or “keto” coffee using freshly ground organic coffee, organic coconut oil and/or organic MCT oil, and organic unsalted ghee (or pasture butter). It is important the ingredients be organic and pasture fed when possible. I first brew the coffee, then add coconut oil or MCT oil, and butter or ghee. Then I use a hand blender (or regular blender) to mix completely. Put freshly brewed coffee in a blender or large container (like a mason jar). Add coconut oil/MCT oil, ghee, and pH Adjust. Blend or use hand blender to mix well. It is important the coffee be hot (or at least warm) in order for the coconut/MCT oil and ghee to mix into it. You can add the pH Adjust either before or after you mix or blend the coffee. I personally stir in the pH Adjust manually using a long spoon after I’ve already mixed the other ingredients. If you add the pH Adjust after mixing the other ingredients, then be sure to stir well. Note on amounts: the amounts I list above are suggestions. I often use less coconut or MCT oil, or ghee. That is, some days I use just two teaspoons of coconut/MCT oil, or one rounded teaspoon of ghee. Try using different amounts of ingredients to see what works for you. 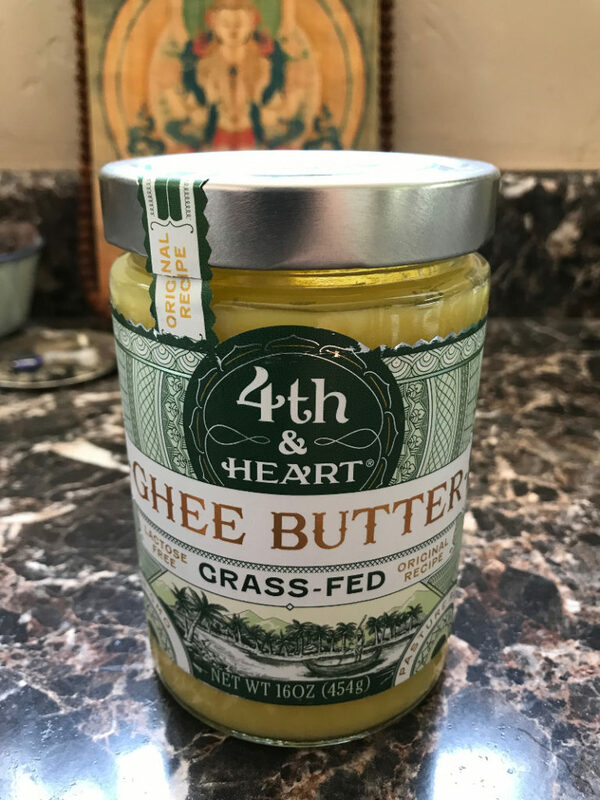 Grass-fed ghee is a key ingredient in keto coffee. One reason for using less coconut/MCT oil or ghee is because this coffee can be “filling.” I am not hungry after I drink it. This is one benefit according to keto coffee experts. In fact, it is recommended that users drink it in the morning before eating. This gives the option of putting off breakfast. If I have planned to eat breakfast, then I will often use less coconut or MCT oil. The lower level of satiety from the coffee means I eat breakfast without having already been filled by the keto coffee. Make keto coffee any time of day. It is probably best on an empty stomach and definitely not too late into the afternoon—unless you want to be up late (if coffee affects you that way). You can make it early in the day, and then consume it over the course of the morning and afternoon. There are many other benefits associated with an alkaline state, which is ideally a pH of 7.35–7.45. You can learn more about the benefits of alkalinization from earlier HPDI blog articles (see resources section below), doing web searches, or talking to your health professional. If these benefits are not sufficient reason to try using pH Adjust in your coffee to make “pH Adjust alkalinizing coffee” then consider doing it for the taste! Tip: To make this coffee more hydrating, try adding 8-16 drops of Patrick Flanagan’s Crystal Energy, which makes the water in this drink more bioavailable. Keto coffee tastes good. The oils and fats provide a rich, hearty taste. It is creamy, warm, and delicious. And as I mentioned, it is filling, so it satisfies hunger. pH Adjust may slightly change the texture of your coffee. It may make regular, non-keto coffee appear and taste “creamier.” Most people won’t mind that. As for keto coffee, it is already “creamy” due to the coconut/MCT oil and ghee. pH Adjust might just add a bit more texture to it. Also, there may be a slight chalky, white residue at the bottom of your cup. This does not happen if you mix in the pH Adjust formula well, or if you re-stir (or swirl) the coffee cup or glass when it’s half full. Remember: if you see this residue, it is pH Adjust. As such, you may wish to drink it as is, or add little more liquid (coffee, water, etc.) and quaff it down. Mix the MCT or coconut oil and ghee (or butter) using a blender or stick blender. To me, the most important thing about coffee or keto coffee with pH Adjust is not how it tastes or how it reduces hunger, etc. It is how is increases pH levels. Alkalinity is important for health. 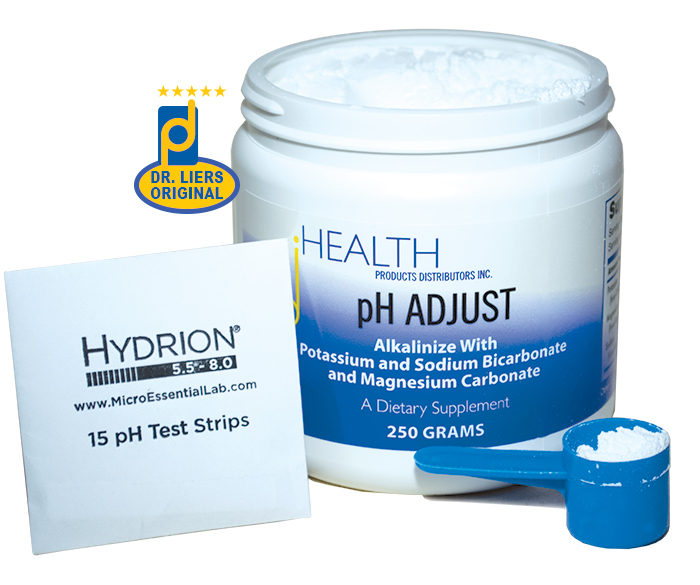 No matter how you choose to take or drink it, pH Adjust will alkalinize. In spades. Besides coffee, you can add pH Adjust to juices, teas, smoothies, shakes, water, and even lemonade. The fact is, taking pH Adjust is more important than the drink you choose to take it with. You decide the drink. That being said, I really like keto coffee with pH Adjust. I add ice for a delightful, cooling concoction in summer. In winter, I drink it hot.